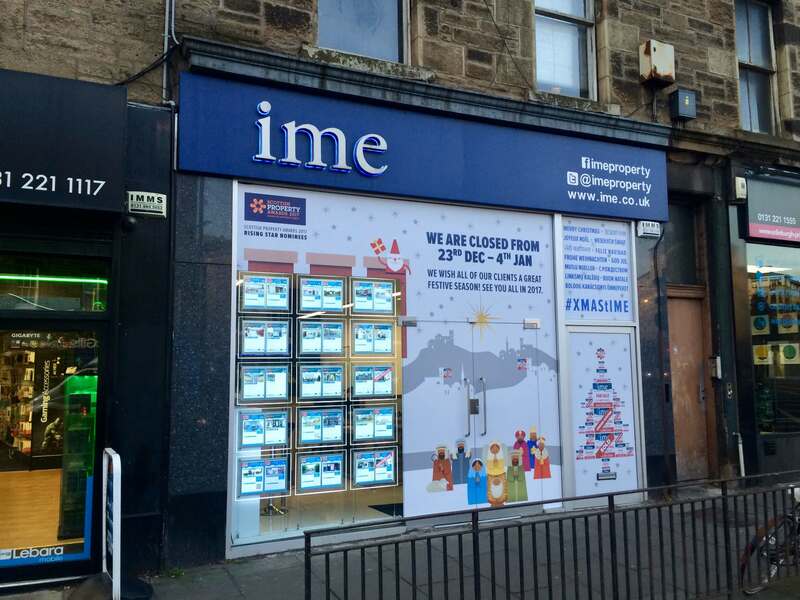 On behalf of all of us at IME Property, please accept our best wishes for the festive season and New Year. 2016 has been another year of growth for IME Property and we have an exciting 2017 ahead of us. But we couldn't do it without the support of our clients and working closely with our contacts in the property industry. From lawyers to valuers and developers to fellow property agents, our transaction successes have increased again and for that we thank you. And if you haven't worked with us during 2016 then we hope to do so next year. If you're ever in the Tollcross area do pop in and see us for a chat - the coffee is always on! All that remains for me to do is to wish you all a Merry Christmas and a Happy New year. Iain and everyone at IME.